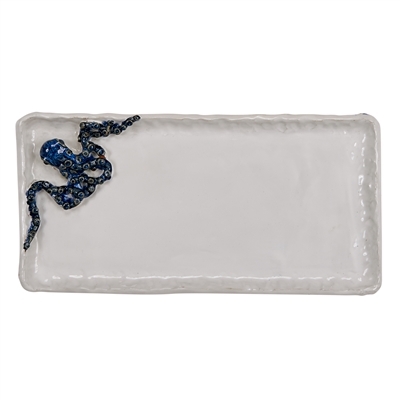 This tranquil seashell white plate is an original Thai ceramic , finished with a stunning hand crafted royal blue sea life design . Perfect as an accent piece in any room. 14" X 8" X 1"